Before you purchase a travel insurance plan, ask about the assistance services – most assistance companies are disinterested third parties that route medical emergency calls to call-center clerks, rather than to real doctors and nurses. At Medipac Assist, medical professionals will answer your calls – much more expensive, of course, but we take our responsibilities seriously! Minutes can save lives. Join thousands of snowbirds who continue to save hundreds, sometimes thousands, of dollars every year by transferring Canadian to U.S. funds automatically, with preferred exchange rates and LOW or NO transfer fees. The Snowbird Currency Exchange Program has been servicing Canadian snowbirds for over 15 years. On the 1st of every month the program debits participants' Canadian banks accounts and pools the funds. The funds are then transferred into U.S. dollars at a preferred rate, and deposited into the participants' respective bank accounts in the United States on the 5th business day of the month. 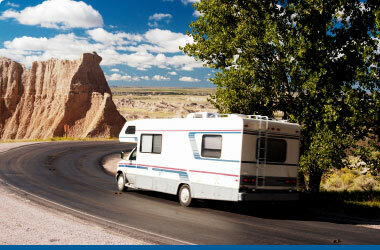 Many Medipac clients and other snowbirds travel for up to 6 months of the year, and often, if travelling the United States, they will take their vehicle with them. This poses unique insurance risks for which most insurance companies will try to charge extra or will limit coverage available. For example, on properties that are vacant for more than 30 days coverage may be denied or limited, OR where a covered vehicle is taken into the United States for an extended period of time, up to a 25% surcharge may apply. With the CSA Auto/Home Insurance Plan, there are no surcharges when vehicles are temporarily taken into the U.S., and full coverage can be maintained on properties, provided a few small steps are taken to protect your home. The snowbird lifestyle is indeed unique. We often find ourselves travelling in obscure places across North America. Should we experience a vehicle breakdown, it can often take hours for other Auto Club service providers to arrive. With the CSA AutoClub you get to choose who will help you get back on the road. Why wait around? The CSA AutoClub is faster and it's cheaper. Only $54 (including taxes).